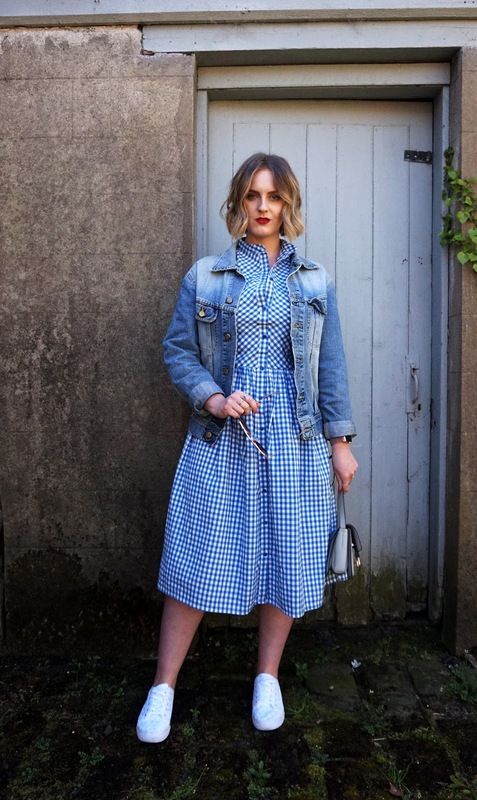 It seems to be the dress of the season, and has been featured everywhere from Cosmo and Glamour to the Mirror and Metro, and as if by magic I spied a single one in my size in my local Primark store earlier this week! 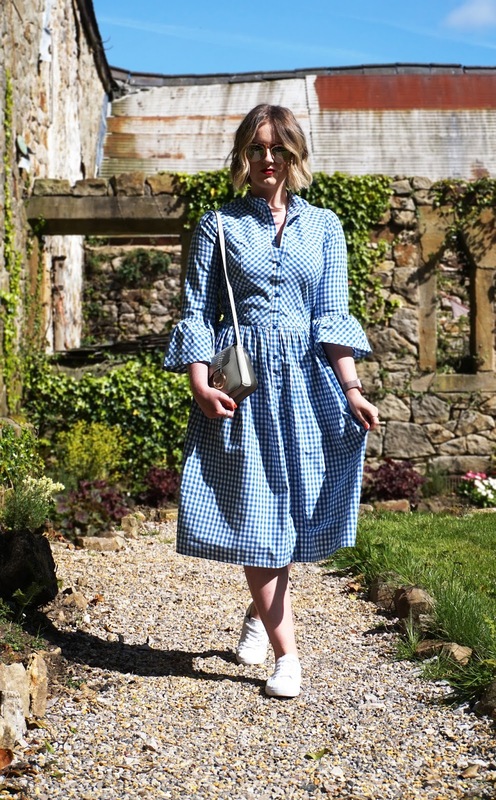 This gorgeous little blue gingham midi dress has been dubbed a must have piece by fashion press and has, apparently, caused hysteria on the high street (I will admit letting out a squeal of delight when I spotted it, as in Preston we never get the most wanted pieces in stock!) in recent weeks, and I can see why! 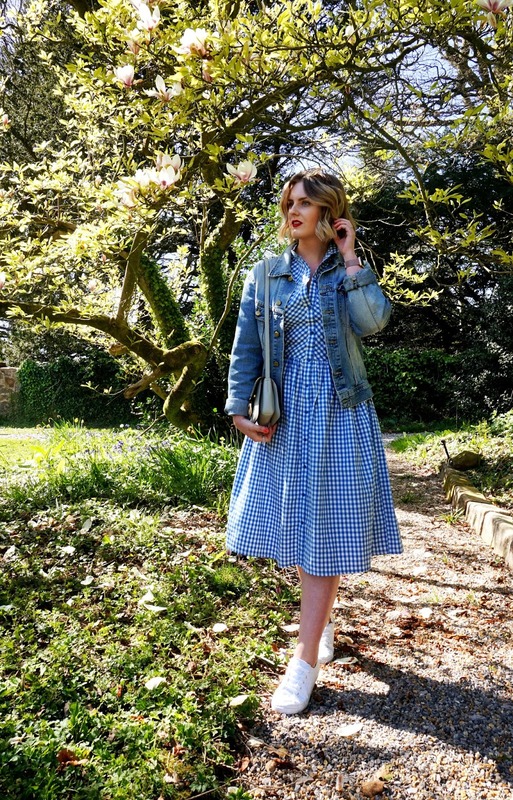 Its just £15 and ticks all the boxes for Spring Summer with it’s beautiful blue gingham print, fluted sleeves, midi A line skirt and button up detailing. 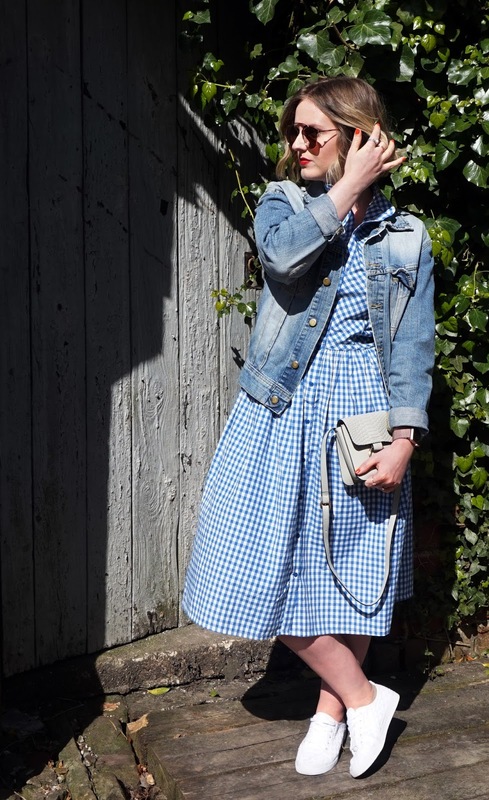 Just call me Dorothy! 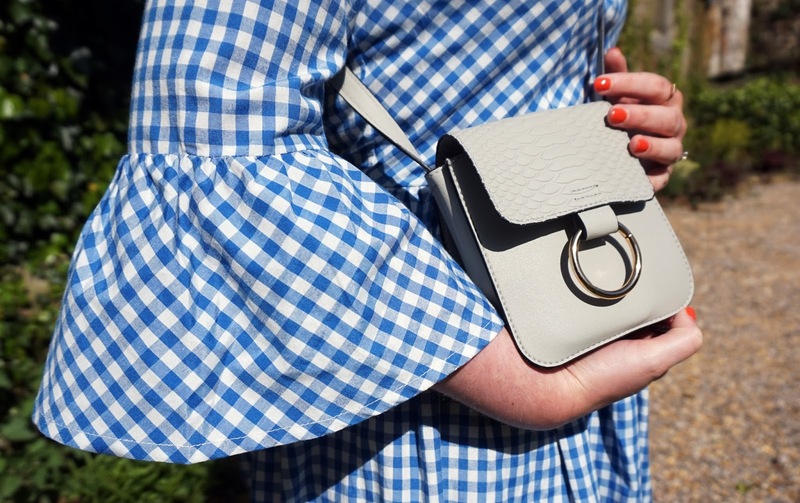 To my delight, the dress fits like an absolute dream and for me it definitely lives up to the hype. 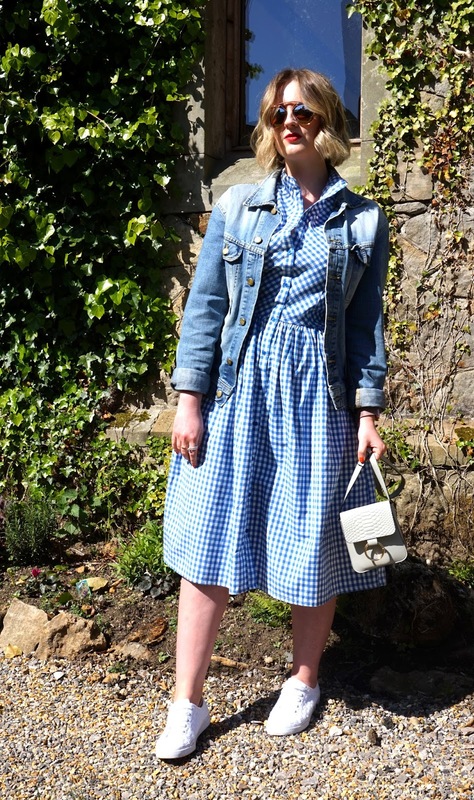 I wore it today for a day out in the sunshine paired with some cute little white plimsoles and a vintage denim jacket, and I felt VERY Grease (which is not a bad thing, might I add). 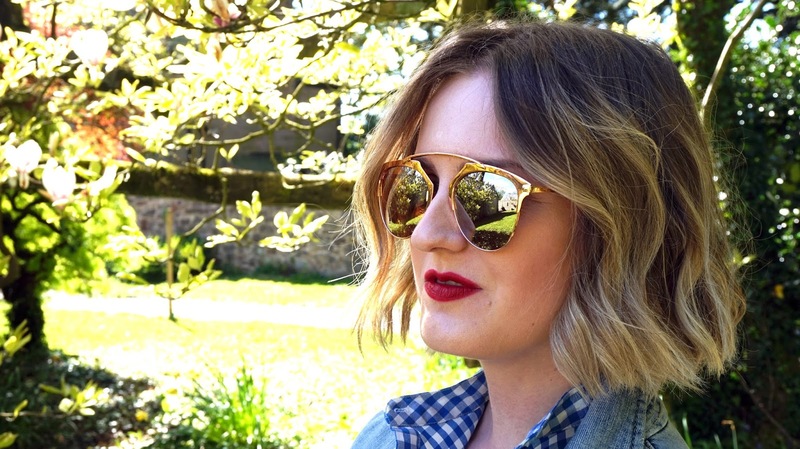 The red lipstick and statement sunnies just had to be added to the look – I think they really pull everything together perfectly! 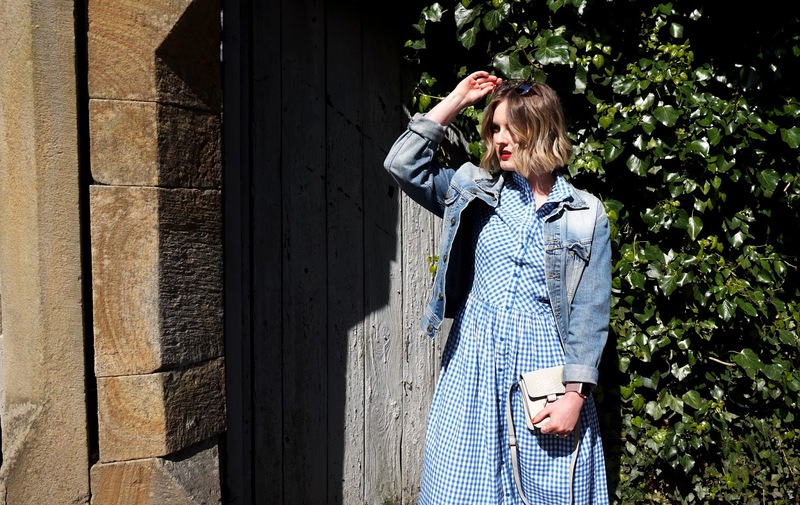 Whilst today’s outfit was more of a casual affair for a spot of lunch, I’m already thinking up ways to wear the dress for more formal occasions. It would look so lovely with some red or tan heels or wedges for a wedding, or even some pointed flats and blazer for the office! 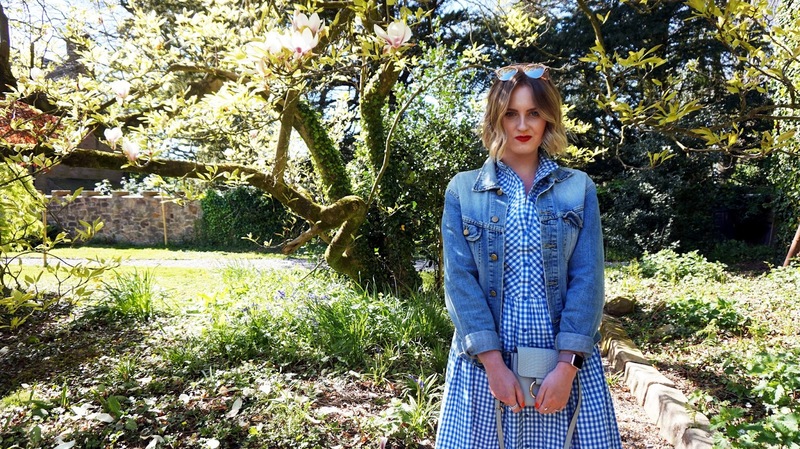 Have you managed to get your hands on this must-have Primark dress? How would you style yours?